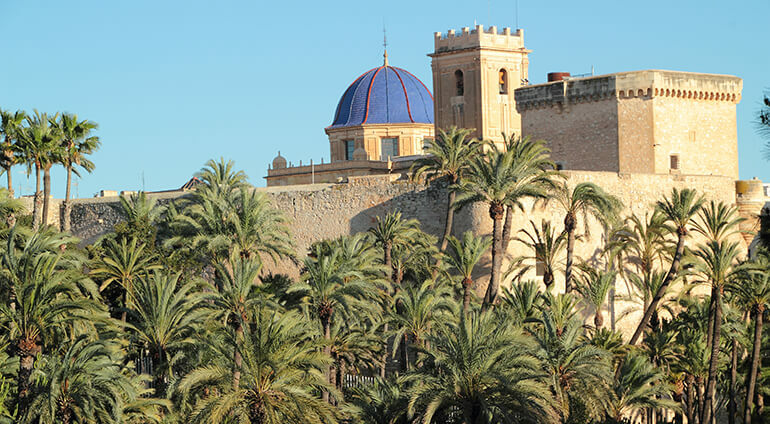 Alicante’s favourable position, protected by a ridge of a mountain to the north, means it has a milder and more temperate Mediterranean microclimate than some of its neighbours and helps to make it a year round destination. Summers are usually dry and long, with averages of between 29°C and 31°C in July and August and highs of around 40°C. June is a popular time to visit, when temperatures are a more comfortable 23°C, dropping to a low of 18°C a night. September sees the start of the rainy season, which runs through the autumn months, although temperatures remain mild, with averages of around 20°C. While the winters are cooler, Alicante has experienced highs of 18°C on Christmas in December with 5 hours of sunshine per day and average temperatures in January hover around 12°C, making it much milder than most of its European counterparts. Spring (March-May) weather in Alicante can be changeable, meaning the city can be quieter, but as temperatures start to rise it can still be a good time to visit, especially if you’re not planning on spending all your time on the beach.